When you receive an email with the subject line that reads Filing Returned for Correction/Rejected Notification for Case/Envelope the clerk has placed the filing in suspension notification email will tell you what needs to be corrected. When you file the subsequent corrected submission the original submission ID number will be preserved so the clerk has evidence of the initial submission date. The subsequent filing's file mark will not generally be backdated by the clerk's office, however. Ensure that you are on the Workspace tab located on the top navigation menu. Click one of the Submit Filings buttons. 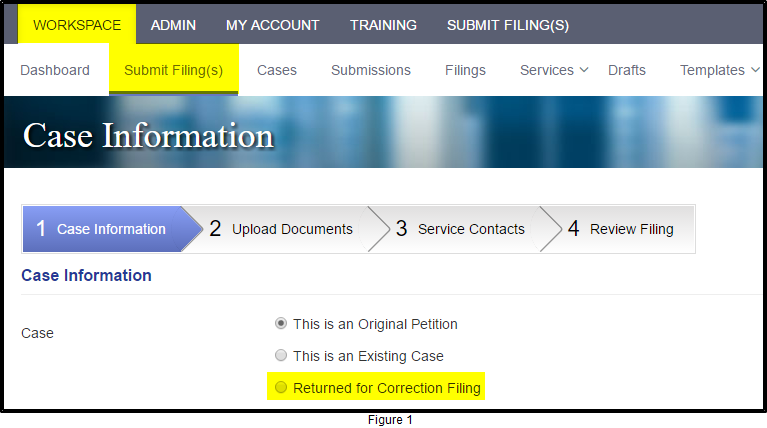 Click the Returned for Correction Filing option in the Case area on the Case Information page (Figure 1). 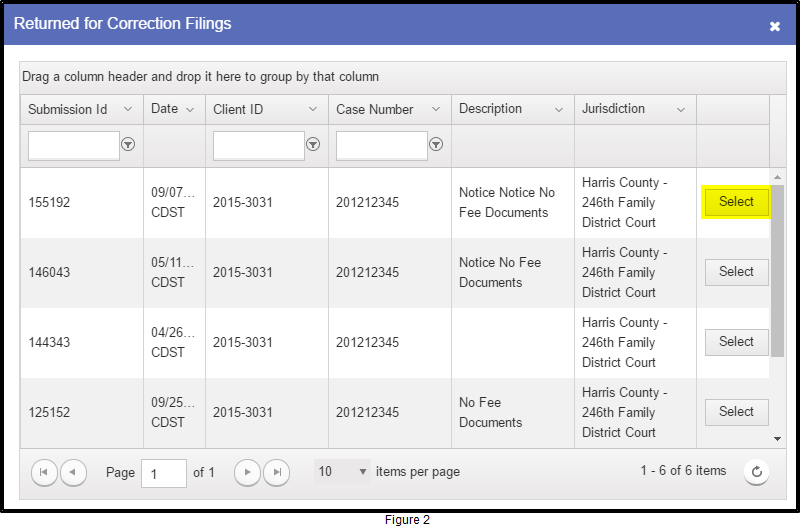 You are taken to the Rejected Filings page (Figure 2). Click the Select button for the filing you wish to resubmit.